This document is to give the brief overview on the fixed bin concept of SAP Warehouse Management and SAP Extended Warehouse Management. Most of warehouses prefer to keep the stock in constant storage bins , so that they can have some ease in doing the physical transactions especially for the warehouse users who are working in the warehouses since long time. In general fixed bin concept or fixed bin put away is nothing but every material is mapped with unique storage bin , so that when put away is happening , system will suggest the respective bin to storage that particular material. by having these two settings we can activate the fixed bin strategy in SAP ERP WM. With proper “Activate storage type search” configuration, and stock placement indicator in material type helps to identify the storage type . Once the storage type identified then Fixed bin put away strategy will play a role to identify the storage bin. Here in SAP WM ,there is a limitation of assigning only one storage bin to the material master. we can only assign one bin to the material master. 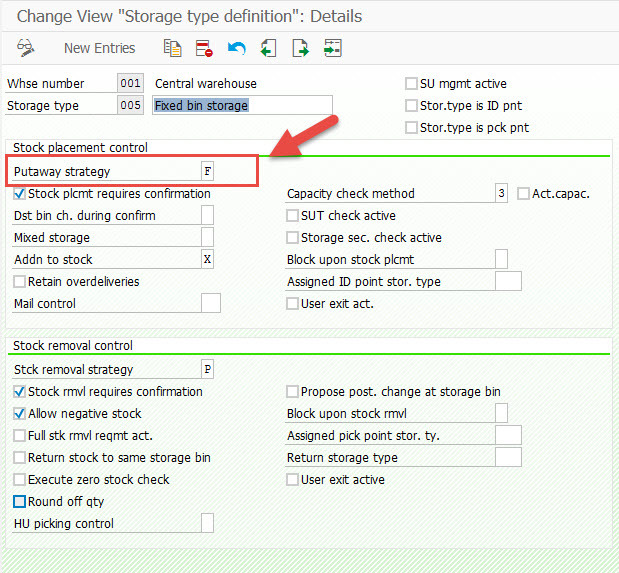 If the bin is occupied , then system will suggest reserve storage type based on our configuration . Some times “Near picking bin -K ” put away strategy helps in those conditions like if system could not place the stock in fixed bins. 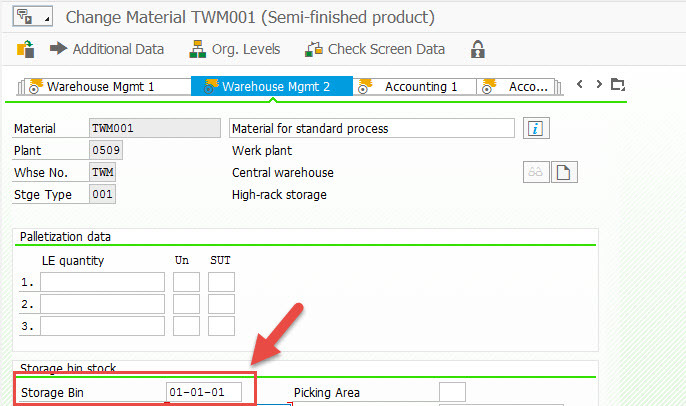 This limitation has overcame in EWM , we can manage multiple storage bins for single material in EWM. 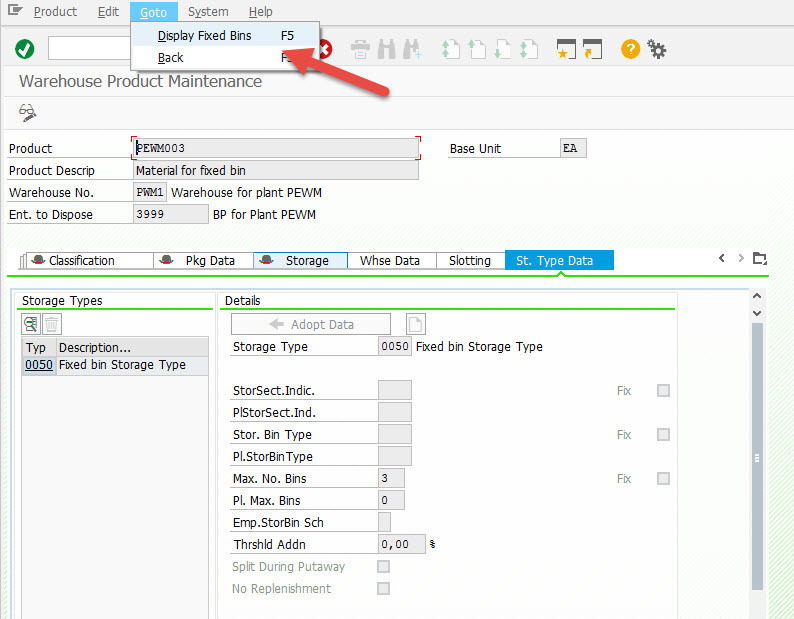 In EWM we need to configure the storage type to deal with fixed bin storage. check boxes “Use Fixed bins” and “Check max no. bins” will influence the fixed bin storage. 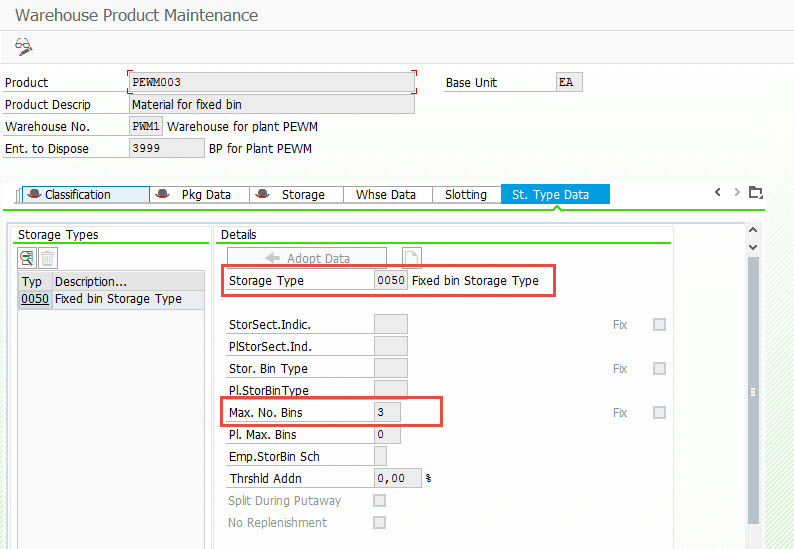 In customizing for SCM Extended Warehouse Management, go to Extended Warehouse Management → Master Data → Define Storage Type. enter the product number , warehouse and storage type and No.of storage bins to be maintained for that product . With this transaction , system automatically assigns the storage bins based on the sequence. By clicking on new entry button , we can maintain the storage bin to warehouse product. Once all this master data settings done , with the put away control indicator , Storage type search sequence configuration will helps to identify the right storage type to put away the goods . Once storage type identified system will suggest fixed bins based on our settings. Nice document, it is very helpful. Well explained & very useful document. Thanks for sharing. Good information, written in a clear and lucid manner. Good to Know this Santosh, nice info.